I know, I know, the title of this book sort of sounds like a horror movie, doesn’t it? 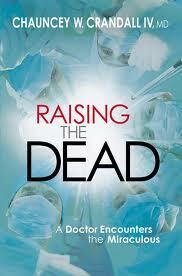 But Dr. Chauncey Crandall IV’s book Raising The Dead is anything but horrific. In fact, it’s actually more like a love story. The book opens with Dr. Crandall’s firsthand experience of praying for a patient who has been pronounced dead, and seeing with his own eyes that patient returned to life. This sets the stage for the life journey on which Dr. Crandall and his family are about to embark. Raising The Dead traces the Crandall family’s journey of spiritual discovery as they battle cancer in the life of one of their twin sons. Throughout this story you will ride the highs as miracles appear for this family, and you will feel the heartbreak as opportunities slip away. Through it all, the Crandall family learns how to draw closer to each other, and – most importantly – closer to God. I know I joked earlier about the book’s title evoking thoughts of a movie, but in actuality this story would make an incredibly moving film. 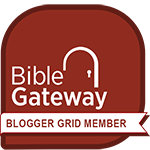 If you are praying for a miracle in your life, if you work with people in desperate places, or if you would simply enjoy a moving account of a family seeking so fervently after God, you will enjoy Raising The Dead.